Many diseases begin long before symptoms appear in your pet. Animals cannot talk, and instinctively hide their pain, making it difficult to assess symptoms of disease or illness. 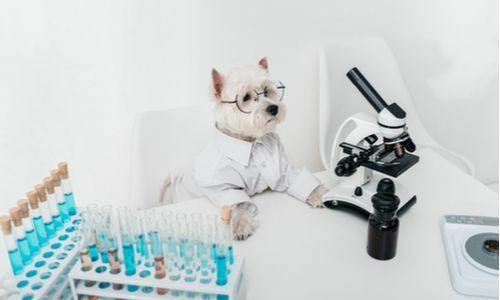 For these reasons, the vets at Melton Veterinary Hospital in Bastrop, Louisiana, encourage all our clients to gain a complete picture of their pet’s health through Early Disease Detection Testing. We believe it is vital to have regular early disease detection testing to monitor your pet’s overall health. Blood Chemistry Panel to measure a variety of substances in the blood; helpful in diagnosing diabetes, liver and kidney disease. Complete Blood Count for a comprehensive look at blood cells; helpful in diagnosing conditions such as anemia, infection, and dehydration. Urinalysis for specific data about kidney and urinary tract function, any abnormalities associated with the kidney or bladder, including kidney and urinary tract infections, diabetes, and kidney stones. With Early Detection Panels, we can diagnose diseases before your pet displasy any symptoms. By catching these diseases early, we can give your pet the best possible quality of life through environmental and dietary changes and any necessary treatments. To schedule an EDP for your pet, call our office today at Melton Veterinary Hospital in Bastrop, Louisiana.